the brakes are great and I use them on my racing bike all the time. 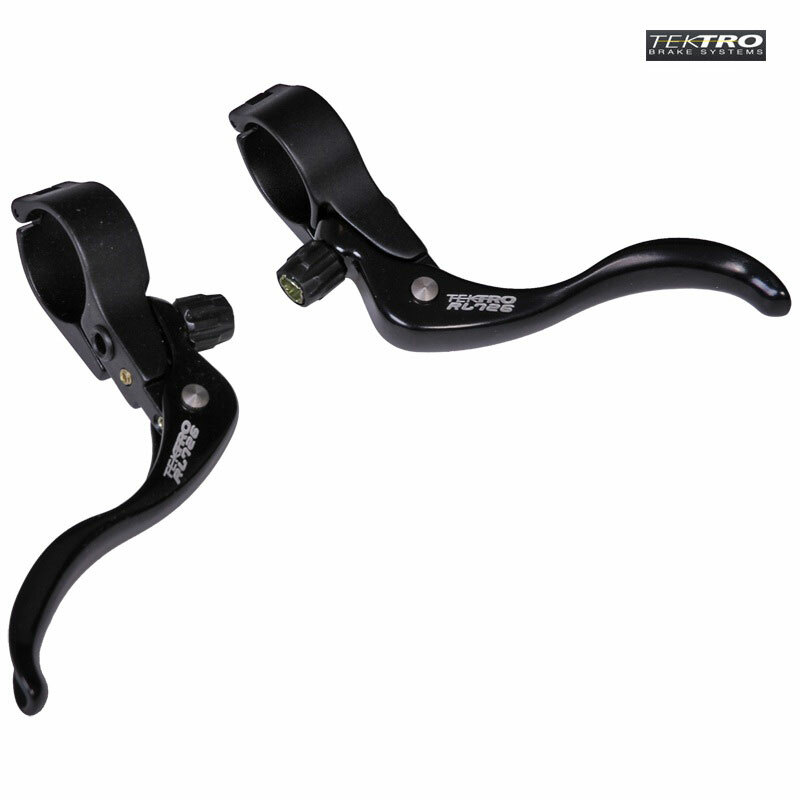 Would these work as top levers for some V-Brakes? You need the V brake specific model, these will not pull enough cable. Would These Fit A Kids Hoy Cammo 650C? I'm wondering if these would fit a kids HOY Cammo 650c? c) would my kid with small hands be able to reach the brakes easily? As we don't sell those bikes I can't say for sure how well they would work with them. From a quick internet search I can see that the handlebars fitted have a 31.8mm clamp so these levers are correct in that respect, but how well they would be suited I do not know I'm afraid. The levers require 15mm of space for the clamp, they are 95mm in overall length so you will need to measure you bars against these dimensions to see if the levers will fully fit. The reach again is very hard to judge without having the bike and rider here to test, but these levers do have an adjustable reach so it may be possible; with the reach as short as possible the distance from the centre of the handle bar to the front of the lever blade is 60mm. I bought a pair of Tektro brakes for my racing bike thinking that they were the right ones. I completely remove the old brakes and shifters and replace the shifters with the thumb kind (I cut the drops from the handle bar) and place the brakes by the stem as the only levers on the bike not in addition to the ones on the drops (as a cross bike). Are those brakes supposed to be combined with the levers on the drops or at the end of the bars? Can I mount them on the bar by the stem and use them on its own? The brakes work really well but when I hold the levers the cables runs under my fingers. These brake levers are only supposed to be used as cross top levers in conjunction with normal STI brake levers.